Are you a My Starbucks Rewards member? Right now you can score 10 FREE Stars!! Just head on over to your Starbucks account and enter the codes MCATALINM and MCATALINH and you will get 10 FREE stars in your account. After entering the codes it may take up to 24 hours. 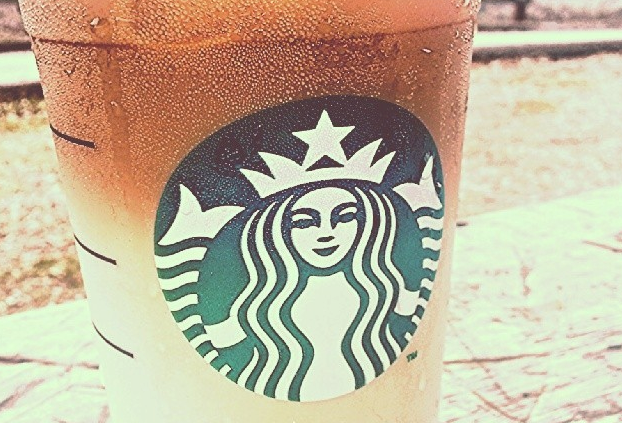 If you aren't already a Starbucks Rewards Member, you should join today! You earn free drinks and food items by registering and using your Starbucks Card. As you collect Stars, you move up to bigger benefits. There are three reward levels. You also get a FREE DRINK on your birthday every year! The talk among all the high school girls I've been around this past week is the junior/senior prom! Of course, in order to go to prom you have to either be a junior or a senior, or be invited to prom by one. Other than her date, a girls' most important piece of the prom is her prom dress! Her hair, makeup, shoes and accessories are all determined by what prom dress she chooses. Her prom dress must be perfect - settling is never an option! And finding the perfect dress at the perfect price makes it even better! The selection of affordable prom dresses at JJsHouse is beyond amazing! There is the perfect dress to fit every style and personality; from simple to elegant! Even if you aren't crowned prom royalty, you're going to feel like a queen or a princess on prom night! Women have been literally wearing the time on their sleeves since the early 1800's, when the first wristwatches were known as ‘wristlets’. Since then, styles have changed, and today there is such a proliferation of weird and wonderful timepieces available that a watch might just tell the world what sort of person its wearer is, as well as the time. There are glitzy, blinged-out dress watches, sleek, elegant stainless steel stalwarts and whirring, gleaming chronographs. There are even womens watches styled like neon arcade buttons for gamers, biodegradable watches for the environmentally conscious and, most recently, watches that can integrate with digital devices. Buying a woman a watch as a present can be quite personal, but it can be a touching and practical gift that will stay close to its recipient for a lifetime. These days, the first port of call for most savvy shoppers is, of course, Google. It’s the swiftest way to help you find what you really want when you’re shopping for the perfect watch. The power of shopping for something like a watch online is that you can find something truly unique. If you’re buying for a quirky or artsy person there will be sites out there to suit you and there are also larger chains and even supermarkets offering these goods. Dandruff, Thinning Hair or Dry Scalp? Dove Men+Care Has You Covered! Hair issues aren't only for women, many men are faced with thinning hair, bed head, hat hair, and of course, dandruff and dry scalp. During certain times of the year, especially during the cold winter months, my husband's hair and scalp become dry and sensitive. It is very important for him to use a shampoo that combats his issues and helps keep his hair and scalp healthy. There are certain steps you can take in order to help your hair issues, and the "Good Hair Guide" shares great tips and helpful recommendations for common men’s hair issues that the man in your life may be faced with. I'm not going to hide the truth, I don't wash my hands as often as I should throughout the day. I do my best to make sure that my children wash their hands regularly, but I don't always follow the same example. I know, my bad! Recently though, my routine has changed and has actually gotten a little better. I think it might have something to do with the recent package of Dial liquid hand soap that arrived on my porch. 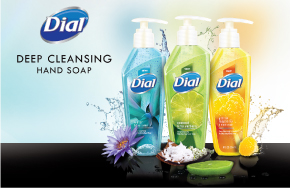 NEW Dial Deep Cleansing Hand Soap is the latest liquid hand soap that brings luxury to your hand washing experience. Refreshing on your hands and beautiful in your bathroom or kitchen - leaving a fragrant scent and leaves your hands feeling moisturized and sparkly clean. 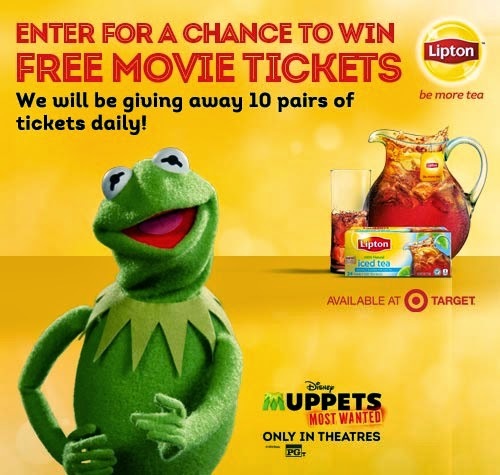 Muppets Most Wanted - Enter to WIN Free Movie Tickets! Growing up, one of my favorite childhood memories was watching the Muppets every Sunday night with my family. Kermit, Animal, Gonzo, Miss Piggy... we loved them all. I was so excited when I heard that the Muppets were coming to the big screen, and can't wait to share the experience with my children. As a kid, I remember thinking it was a little strange that a pig was in love with a frog, but as an adult I'm fully aware that almost anything is possible. Besides, we all know how opposites attract and there are quite a few odd couples in the world today. How would you like to win a pair of tickets to see Muppets Most Wanted? A good haircut will surely make you look younger, healthier and attractive. The priority should be finding the right hair cut keeping the face a priority. Like your skin, the hair also needs consistent attention thus getting a trim every three months. Also it is important to get a hydrating mask once a week for a deep restorative hair therapy. A women can do without expensive clothes but not good shoes. A gorgeous and versatile pair of shoes is an absolute must. It not only lends you confidence but style and elegance too. Even though it has been two decades since I went to my high school prom, I still have some wonderful memories about that night and the events that lead up to it. One of my most memorable moments was shopping for my prom dress. Not any dress would do, it had to be perfect! Growing up in a small town with no malls, or clothing stores, and before internet shopping - finding a prom dresses was an all-day event. My mom, sister, and I made a fun-filled day of it. After all, it was nearly a two hour drive each way. These days, shopping for the perfect prom dress is as simple as finding the perfect website and having it shipped directly to your door. I recently came across JenJenHouse and was highly impressed with their amazing selection of beautiful, affordable prom dresses. So many of their prom dresses are breathtaking, simply gorgeous! There are a few that made me gasp - as they were a little too revealing for my taste, but I'm sure they would look simply stunning on some girls. Not my daughter though (wink, wink). The First Day of Spring & My 15th Wedding Anniversary! Today, March 20th marks the first day of spring, the Vernal Equinox. 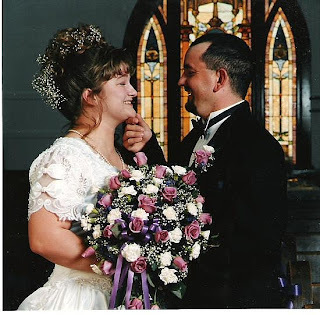 Not only is today is the day of new beginnings, it is also my 15th wedding anniversary! 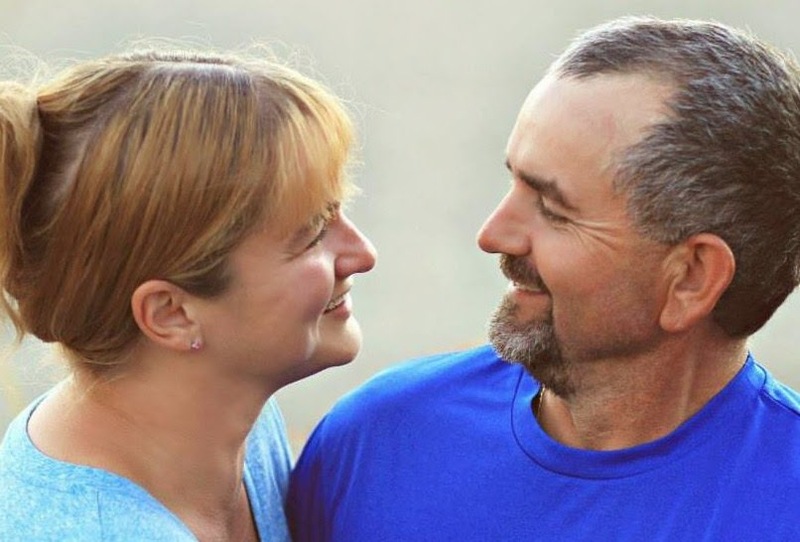 My husband and I have been together for 17 years - so we are in this for the long haul! I can't imagine my life without him. We don't celebrate our wedding anniversary the "traditional" way, but if we did today would mark our crystal anniversary. Traditional 15th wedding anniversary gifts have a theme of Crystal. A Contemporary or Modern Fifteenth anniversary gift has a theme of Watches. The Flowers associated with the Fifteenth anniversary are Roses. New Year's Resolutions, an upcoming wedding or reunion, or maybe a summer beach vacation... day in and day out, people are always trying to lose weight! If you're one of the millions trying to lose weight, get healthier or simply trying to maintain your current weight... chances are that you've heard about a variety of diet and weight loss supplements. Although there are no "magic diet pills" out there, green tea, hCG, African mango, and raspberry ketones seem to be among the most popular. 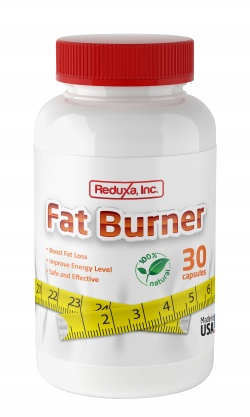 Reduxa Fat Burner Thermogenic Weight Loss Dietary Supplement, Metabolism and Energy Booster is made in USA. This product contains a proprietary formula designed to maximize weight loss by boosting fat loss and improving energy level that is safe and effective for both men and women. Reduxa Fat Burner contains a variety of fat burners and metabolism boosters that have been proven to be effective. 50 Percent Off Domino's Pizza – Offer Valid March 17 – 23! My family loves pizza and have it for dinner one night a week, usually Friday or Saturday night. Starting today March 17th (St. Patrick's Day), you can get 50 percent off Domino's Pizza when you order online. 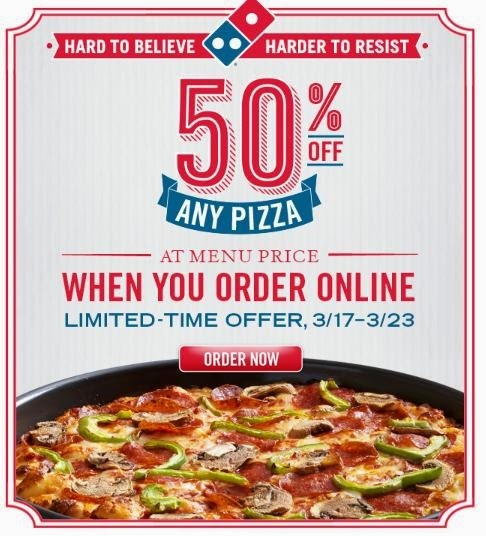 This offer ends March 23rd, and you can get 50 percent off ANY Domino’s pizza, which is a great deal! Thanks to previous free photo offers at Walgreens, we have some great 8x10 photos and collages in nearly every room of our house. I have also used them as gifts for the grandparents! It's that easy to get your very own free 8×10 photo print at Walgreens this week! But hurry, this free photo offer expires Wednesday March 19th! Be sure to order your 8x10 free photo enlargement online, and pick it up at your earliest convenience. 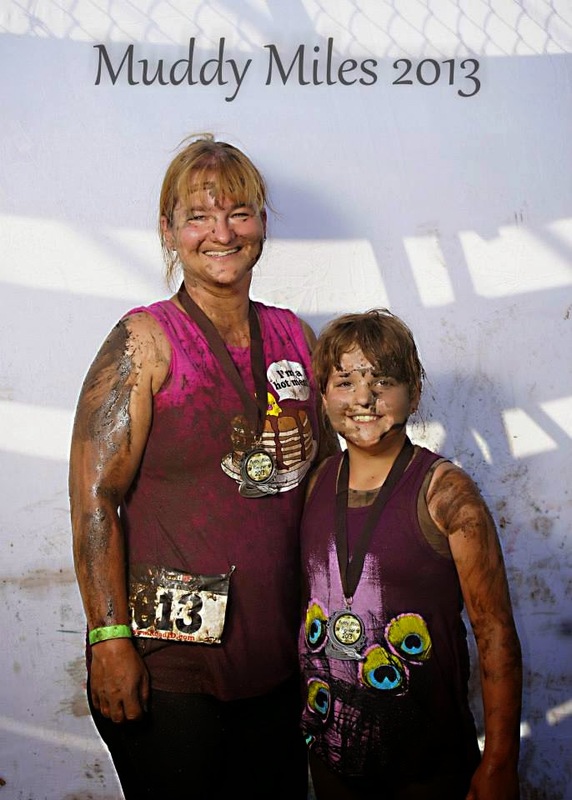 Stains and messes happen, especially when you're a parent. Having two children in the house, messy or dirty clothes are a fact of everyday life. As a mom, it is very important for me to keep my children's clothing looking great, and making sure that they can get the most use out of them. There are a few tips and tricks that I use to make my family’s clothes last longer. I purchase quality children's clothing during sales and clearance. I also combine a coupon whenever possible for maximum savings. Being able to purchase quality, name brand clothing at discount prices helps ensure that my children's clothing will look better, longer. As a mom, I know that breakfast is the most important meal of the day, and make sure that my two children get a healthy breakfast every morning before heading off to school. That being said, I myself don't always have time to eat breakfast before leaving the house and often find myself eating something in the car on the way to drop the kids off. I was recently given the opportunity to enjoy a healthy breakfast that tastes great and is totally portable. Nutri-Grain Fruit & Oat Harvest Cereal Bars are perfect for those hectic mornings where sitting down for a wholesome breakfast just isn't possible. My busy morning schedule consists of getting the hubby off to work, getting breakfast and lunches made, driving the kids to school (they go to different schools on opposite ends of town), feeding the dogs, and taking something out for dinner. More often than not, I run out of the house without having ate anything for breakfast and have to resort to finding a granola bar or something that has been left in the vehicle, and eating it on my way to work. 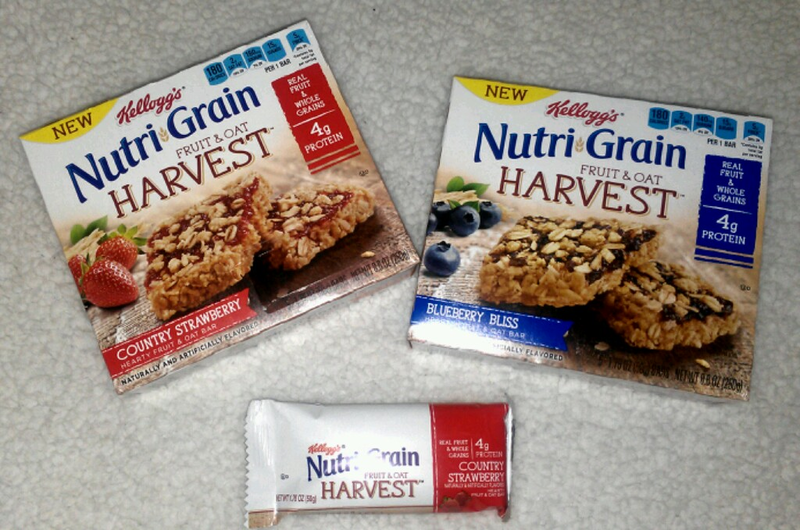 I've always been a fan of Nutri-Grain prducts and the Nutri-Grain Fruit & Oat Harvest Cereal Bars are no different. I love the semi-crisp bottom layer, the creamy fruit and the oat topping. It really is the perfect combination of crisp, chewy, and sweet! Spring forward! It's time for another time change! As much as I dislike the time change, I'm actually looking forward to it this weekend because that means Spring is upon us, and warmer weather should be here soon! I'm hoping it will melt the snow that we got last week! Don't forget that Daylight Savings Time begins at 2:00 am this Sunday, March 9. The main reason I enter blog giveaways is for the chance to win great prizes that I can use as gifts throughout the year! Even if I only win a few, that means fewer items I have to purchase, and the more money I can save. 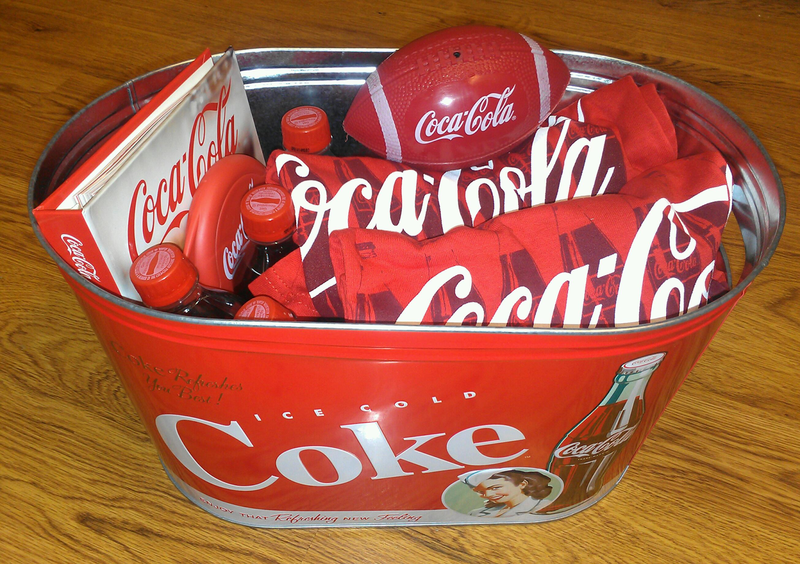 A few weeks ago I won a cool Coca-Cola Big Game Party Kit and last week I won a Years Supply of Purex Laundry Detergent - a total of 12 coupons for free Purex Mountain Breeze Laundry Detergent!